An interesting new device, developed by two ex-Microsoft employees, has launched on Kickstarter. The internet connected device is the about the same size as a humble microwave oven but is dedicated to the noble art of brewing craft beers from grain and hops. 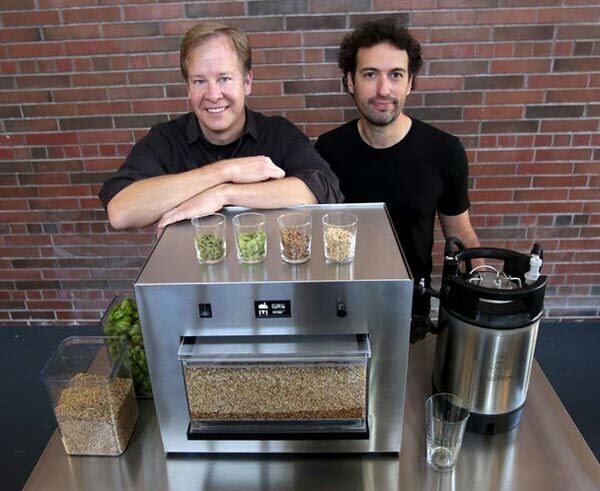 This is “the world’s first fully automatic all-grain beer brewing system”. 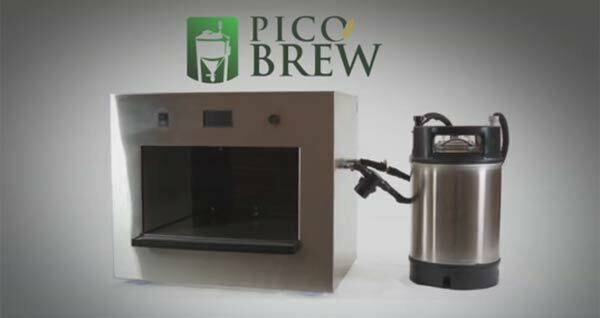 The PicoBrew Zymatic: Automatic Beer Brewing Appliance already looks like it will be a Kickstarter success story as it has raised $100k of its $150k goal in one day, with 29 days to go. Bill Mitchell, CEO and Co-Founder of PicoBrew LLC, worked at Microsoft “pioneering efforts in PDAs, smartphones, automotive and wearable computing”. He left MS a couple of years ago to work with his brother and develop a proof of concept brewing machine based on an off-the-shelf Arduino-based controller, off-the-shelf pumps, relays, valves and a custom heating loop. Mitchell’s inspiration was the question “Why can't we brew beer at home as easily as we can make a loaf of bread with a bread-maker, or a shot of espresso with an automatic espresso machine?” He wanted the home brewing process to consist of more art – less tedium. During the last three years of R&D Mitchell and his brother were joined by another key team member, Avi Geiger, who was a Microsoft hardware architect. Last year a spurt of progress was made “on a sequence of 4 custom ATMEGA controller boards, firmware, web-side services and software”. Following this advance the reliability testing and repeat-ability of beer recipe testing on the machine has taken quite a lot of time. 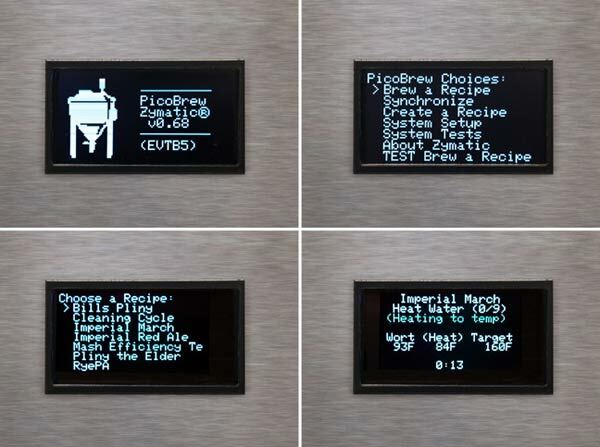 “Now, after over 3 years, thousands of man-hours of effort and over a dozen prototypes, we're almost ready to manufacture the world's most automatic all-grain home-brewing appliance!” reports the PicoBrew Kickstarter page. This Kickstarter project has been very popular already, as mentioned in the introduction. Backers who want to get their hands on a PicoBrew Zymatic machine early in 2014 are expected to pledge $1,399 (at the time of writing 32 of these machines are left), and soon it looks like only $1,499 machines will be available. 5 US gallon kegs = 33 UK pints (although not all will be usable in each keg). Can this be used for brewing real ale? The kickstarter goes on about chilling the beer you make, and that's rather un-British! The price is the killer. Maybe for a small brewery wanting to do test brews reliably. I'm sure most casual home brewers will stick to cheaper kits and live with variation. At this point you just need to detach the keg from the machine (remove the hoses from the keg posts), chill the keg to room temperature (a 5G bucket of ice-water works well), add yeast and then seal the keg with an air-lock keg lid. Your beer will ferment in the keg you brewed it in in (typically) 5 days to 1 week. I like the idea, I don't think the price would even be that high on subsequent models, but the first thing I asked was how easy to clean is this?